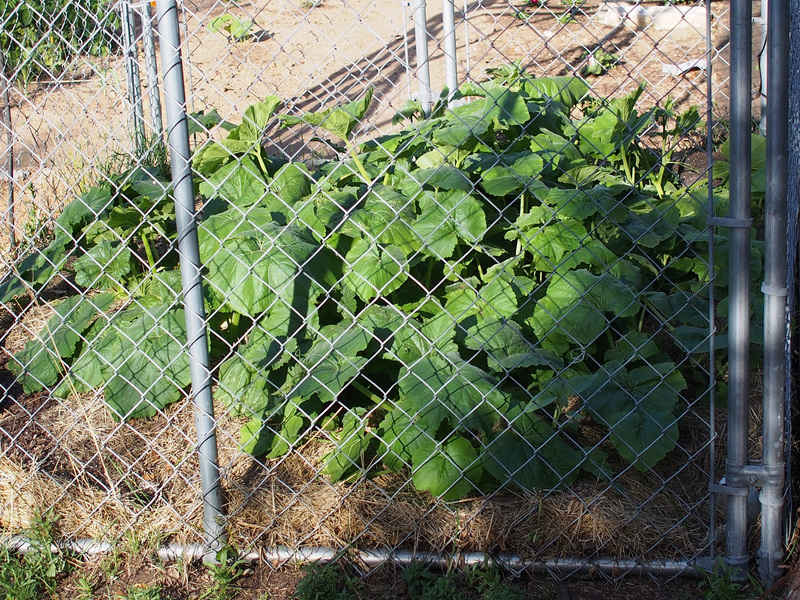 The mighty mystery plant, or the power of compost. Last year I started a compost pile in a re-purposed kennel that was given to us when we took in some chickens in need of a new home. 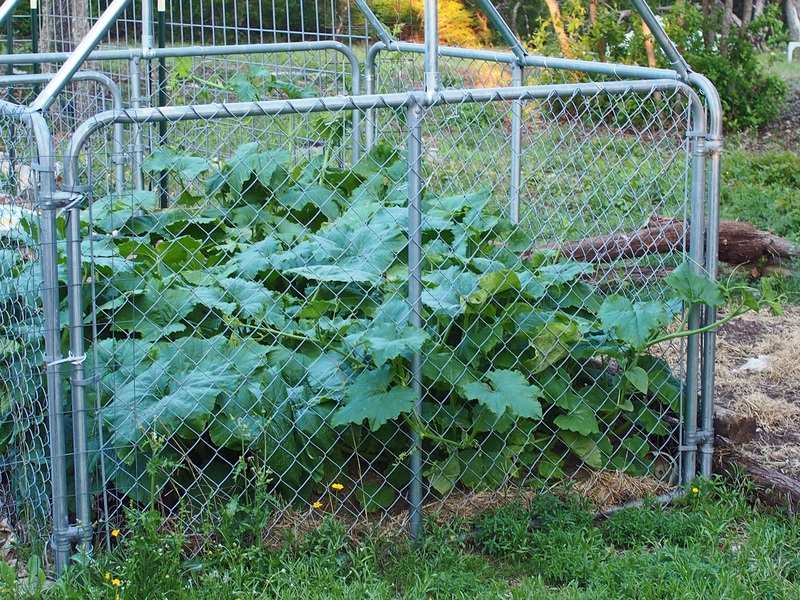 During the fall and winter we allowed our chickens to forage in the compost area. They helped aerate and fertilize the compost, plus they enjoyed finding tasty treats of the insects and worms that also came to the compost. This spring I noticed that we had some plants sprouting in the compost. They looked so healthy and strong, I couldn’t bring myself to turn them back into the pile. So I decided to let them grow. I am fairly certain that they are some type of squash. 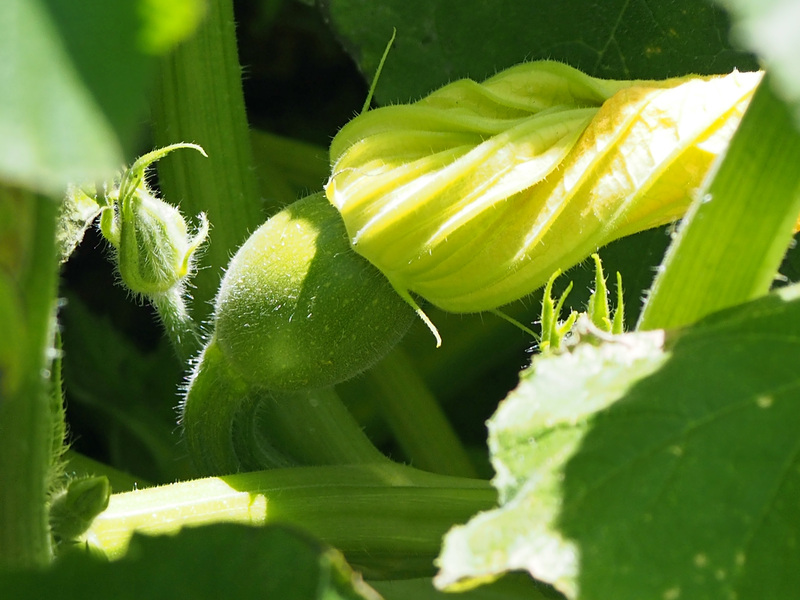 What kind of squash is still a mystery. It has escaped the kennel and is climbing a tomato cage that is outside of the garden area. 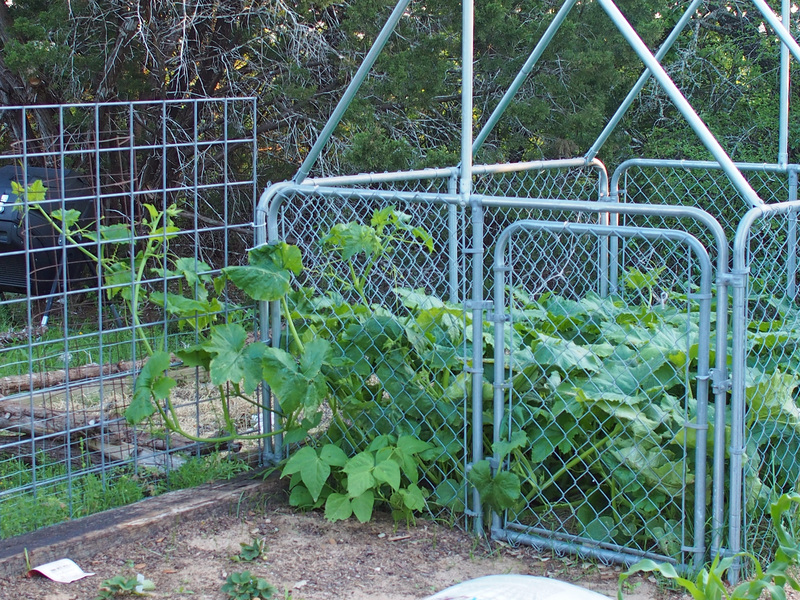 The small plants at the bottom left of the kennel are bush beans. They are benefiting from the compost too.